Briefly Mentioned In Brickjournal Issue 14, April 2011. "As Mentioned Earlier, Up To Series 8 Is Locked As Far As Characters Go!" 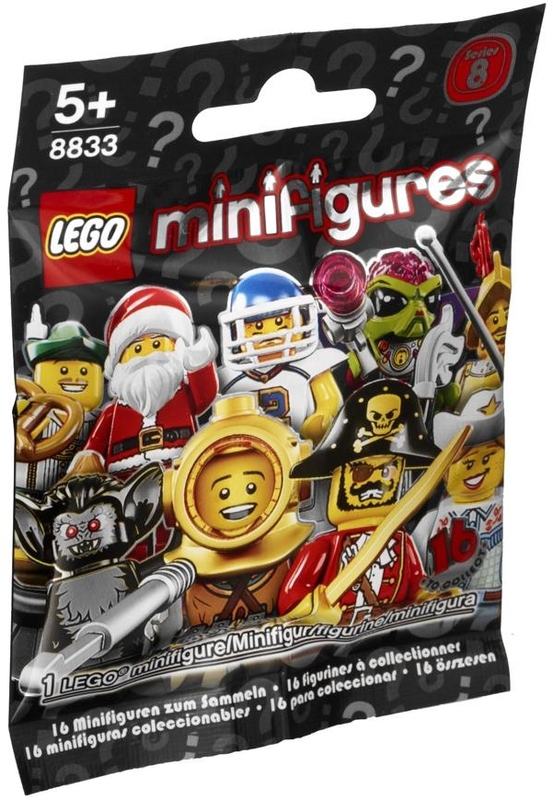 "Yes There Are Minifigs That Were On Wishlists" Expected Surprises and Several Unexpected Surprises!" Wasn't there anything from series 8 at the most recent Toy Fair? Nothing at the Toy Fair except the package colors. oh maybe he will chime in sometime soon which would be nice. It seems like someone who wants everyone to know that they know something that they don't want to share is just looking for attention and probably doesn't know anything at all. I'll be excited when someone actually has info to share. I would be glad to see black packaging. Maybe purple will be next. Alas, last year at this time we had intelligence that TLC was planning series 6 7 and 8. This year, we yet didn't hear about anything for 2013. I hope they go on, they sell well and I like those a lot. I wouldn't worry about these ending anytime soon, I think this has been an amazing success for Lego which even took them by surprise to begin with. Hopefully we will see more unique molds in series 8! Come on, I'm running out of money. Just to add an anecdote, I was at my local Target and overheard a mom/grandma asking the employee in the Lego aisle if they had any "of those little sets with just one Lego man in them." They are really well received is all I'm trying to point out. I think they'll end at ten series. It's a nice round number. Plus, go out on a high with people still wanting them. 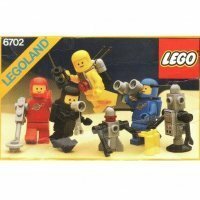 If people still want them Lego can revive them and up the price. win win win for Lego because people will still buy them at a dollar more. Why would they stop something so profitable, it's unthinkable. 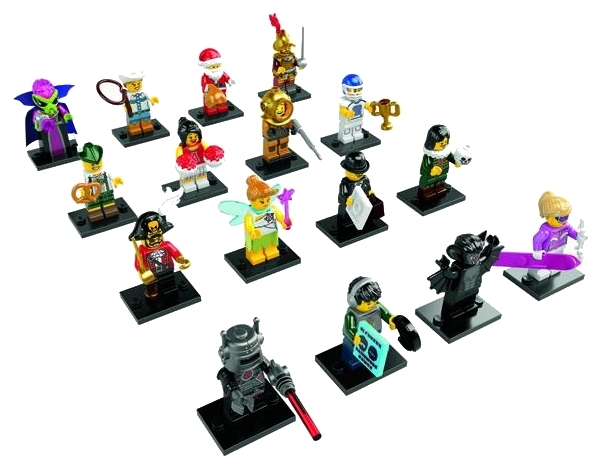 If anything just limit it to 1-2 series a year or limit it to 8 minifigs per run instead of 16 if they are running out of ideas or if the trend is getting too tired. These minifigs should go on as long as Lego makes money, there's just no reason to stop. I certainly can't see it running for years and years at 3 waves a year as it currently stands. Eventually they'll likely release a bum wave and the bubble will burst. Absolutely nothing lasts forever, fashions and trends change. Unthinkable as it is at this juncture. I think the releases will slow down before they stop the line altogether. 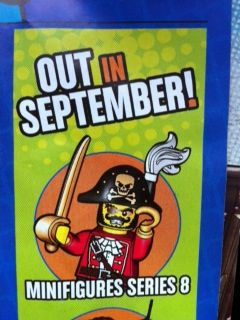 For me, I can't wait for series 7 and 8. I hope they keep them coming at this pace for as long as possible. What makes you think anyone else feels different? They've been flying off the shelves where I am, I can barely find any at all. What makes you think that I think anyone else feels different? I was just speaking for myself. Now that you mention it though, I have seen plenty of people who have posted on various sites say that they would like the pace to slow down or that the series should end all together. Even in this very thread a few people have questioned the longevity of this series. The minifigs have been a major cash cow for TLG & gets people interested in other sets, I doubt it will be finishing or slowing down anytime soon. Because you said that you think the releases will slow down until ceasing. There's no way that will happen until people grow bored of the series. You'll see the vast majority of everybody enjoys or is at least indifferent to this series. I said that I think the releases will slow down before stopping. I did not indicate that I thought that would happen anytime soon. I was just responding to people who thought it might stop all of a sudden. I personally have no idea what the sales numbers are but I would think/hope this series will continue for quite awhile. I doubt they will stop until at least series 16. Once they run out of ideas, they can start making couples for earlier minifigs. They've already started, i.e., the two snowboarders, the two cavepeople. I would love to see pairs for the Celtic Warrior and Surgeon. I find it kind of funny that this thread was created because people kept getting off topic in S7 thread, yet nearly this entire thread is arguments about when and why the theme will end.